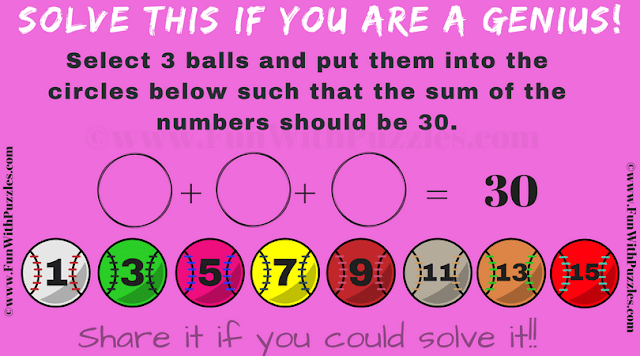 This is very simple yet tough to solve baseball Maths Addition puzzle. In the given puzzle picture, there are 8 baseballs which has some number marked on it. Your challenge is pick three balls such that sum of the numbers on these balls is 30. You will need to think out of box to this solve this simple Maths Addition puzzle. You are genius if you are able to solve it within 2 minutes? Solve this if you are a genius!!! 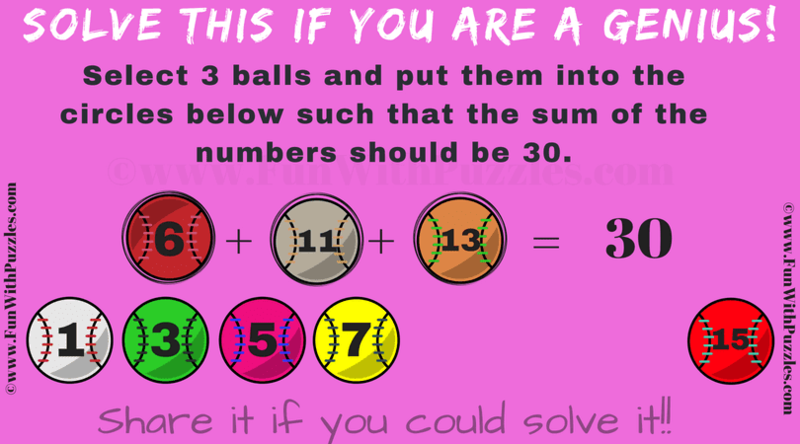 Answer of this "Baseball Maths Addition Puzzle", can be viewed by clicking on button. Please do give your best try before looking at the answer. All the balls has odd number marked on it. Sum of three odd numbers is a Odd Number. It Means that at least one even number is required to solve this Maths baseball puzzle. So 9 when rotated becomes 6 to help us to solve this simple Maths addition puzzle.